Coffee….it’s the best way to start off the day…. and the week for that matter!!! This week is going to be a bit cray-cray, so a good supply of coffee is going to be key!! And when I say good supply, it has to be GOOD coffee. Recently I had a lavender latte at Cafe Medina….oh my!!! It was amazing and knew I had to figure out how to make it at home. 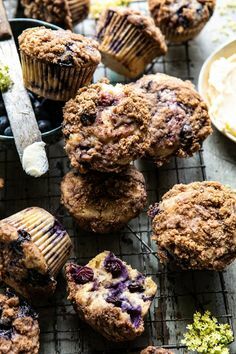 I may just need a few of these to get through the week. Oh, and if you are having brunch guests or people for dessert, this bevie will make you look rather fancy! 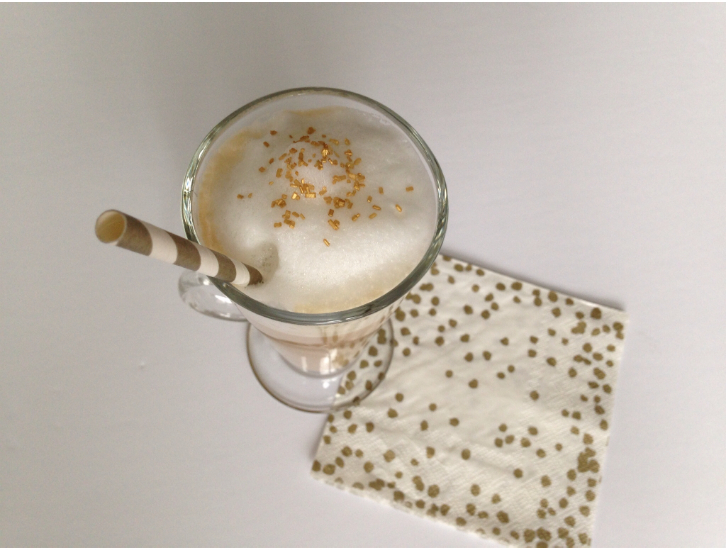 I found a recipe for lavender lattes on Vanilla & Lace. 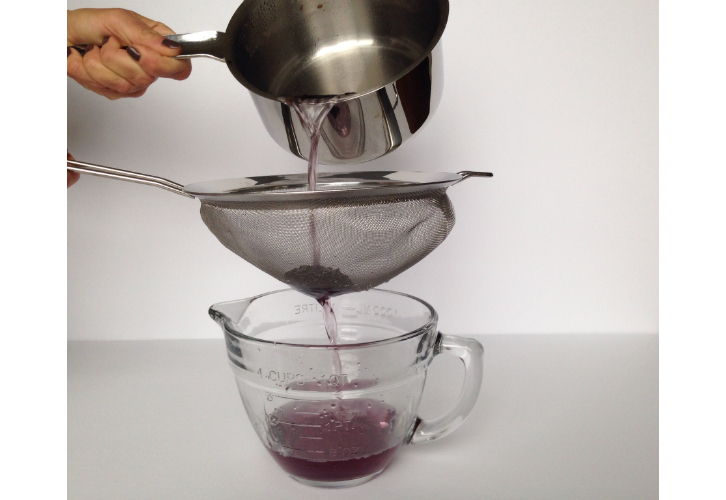 You make a lavender infused simple syrup and use it to flavor your latte. Simply heat together equal parts sugar and water, say one cup of each, in a saucepan until the sugar has dissolved. Add about 3 tablespoons dried lavender and simmer about a minute. Turn off heat, cover and let steep about 45 minutes and then strain. 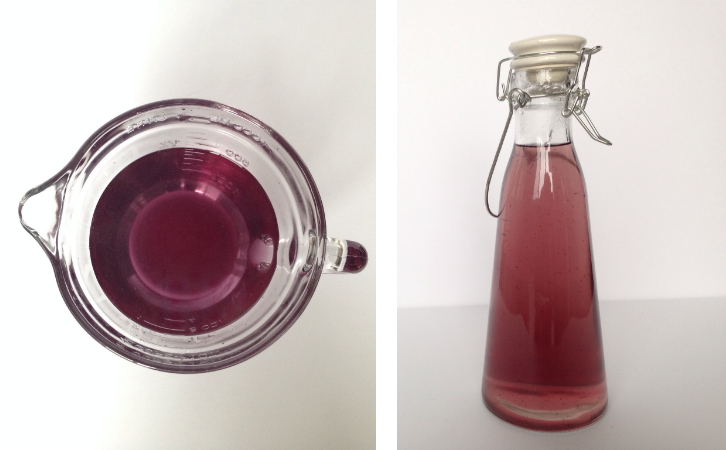 The syrup is a beautiful purple…lavender….color and it will keep for about a month in the fridge. If you have an espresso machine, pour as much syrup as you like, depending on how sweet you like your latte, in the bottom of your mug, add your espresso shot and fill with steamed milk. Top with foam. I like to add some gold sugar I found at HomeSense. It’s soooo pretty and Christmas-y! If you don’t have an espresso machine, you can heat the milk with the syrup and froth it up with a whisk. Pour over some very strongly brewed coffee or a shot from a Keurig or other single-cup brewer. 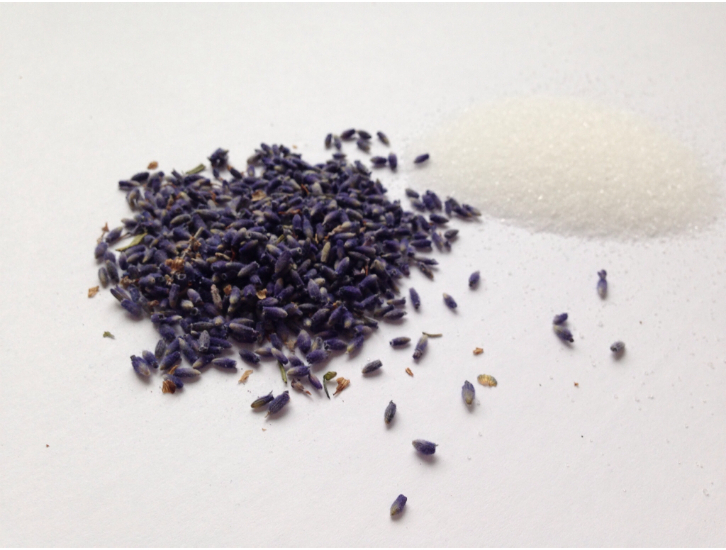 You could also add a few teaspoons of this lavender syrup to hot chocolate or use in place of vanilla syrup in an Earl Grey tea latte. It’s nine days till Christmas…there’s so much to be done. 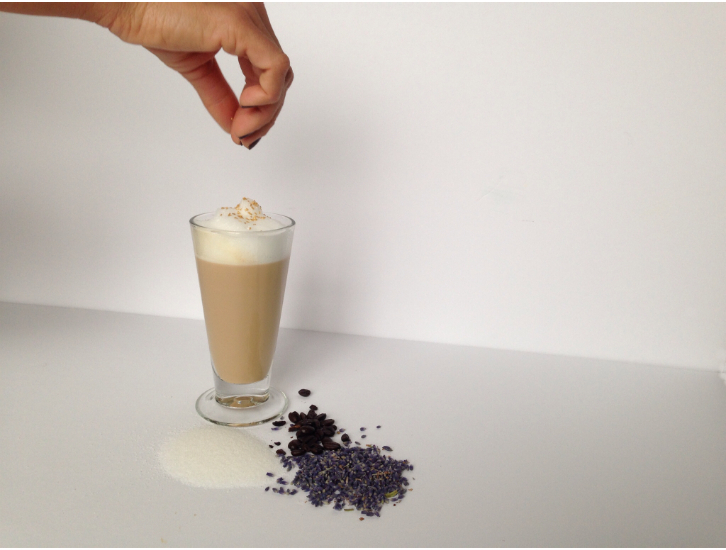 But take a moment, treat yourself to a lavender latte….trust me…it will be a little holiday in the middle of your day! « Friday Find ~ My New Fave App!